Please let us know what items you are interested in the store and we will ship it to your address. 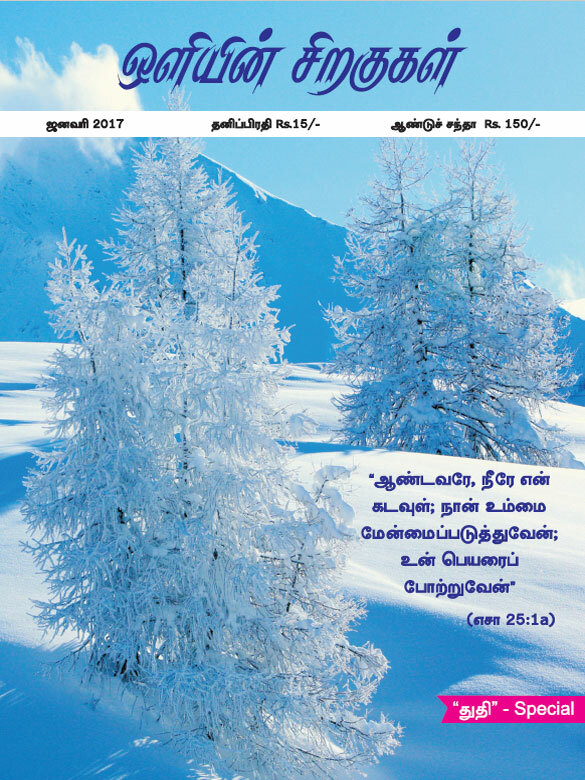 The monthly magazines comes with a fantastic articles of Bible explanation, overcoming day to day problems and also inspiring testimonies. These magazines are read across the world by many faithful. Very interesting and enjoyable to read from the front page to the last one. Below are a few samples. 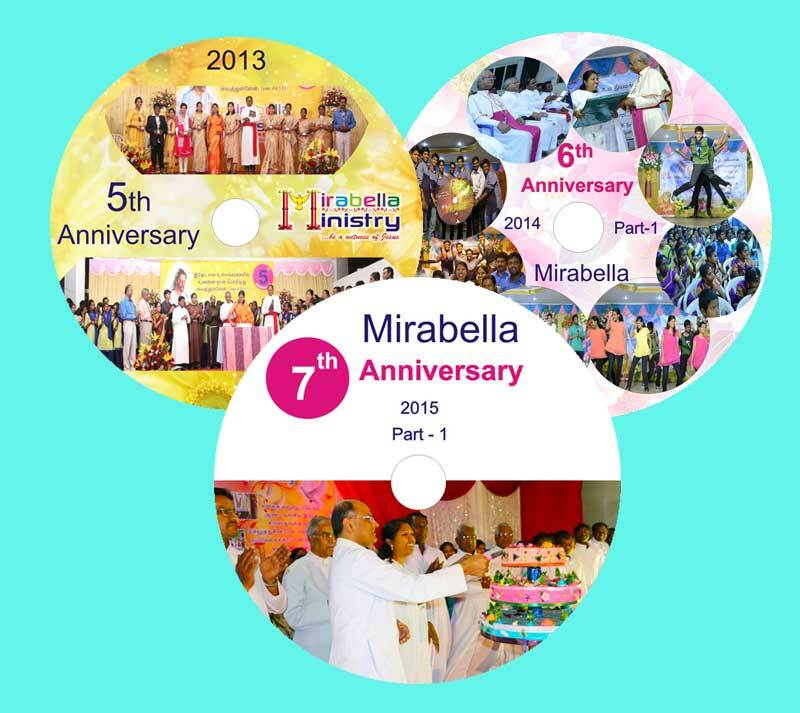 This is a special edition book on the journey of Mirabella Ministry in the past nine years. 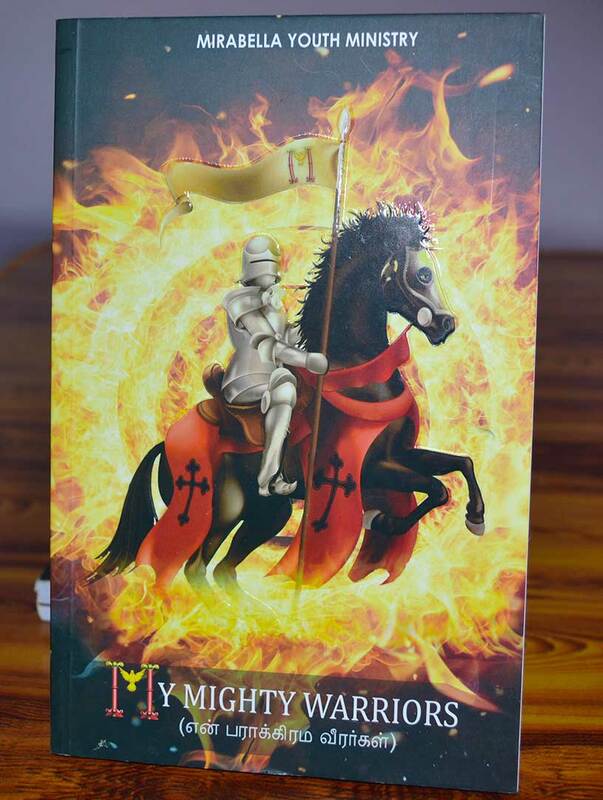 Filled with recounts and pictures, this book shares about the growth of Mirabella Ministry and how it overcame its struggles to be the National Award winner for New Evangelisation for 2016. You will learn that God has created a Covenant with each one of us and it comes together with thousands of Promises. 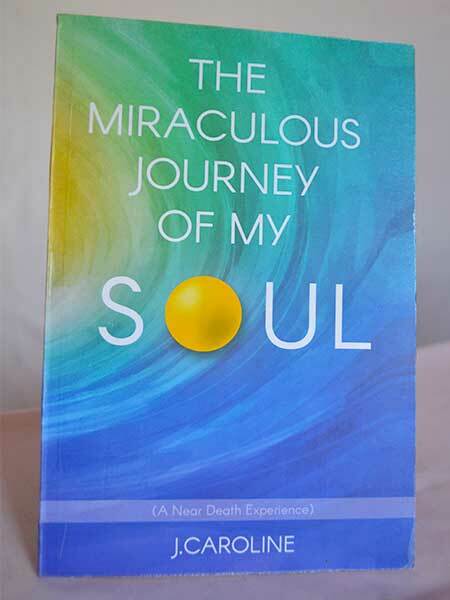 Written in an understandable and simple manner, you will learn how to posses those promises in your lives. Buy and benefit from this powerful book, written by Sister.Caroline herself. 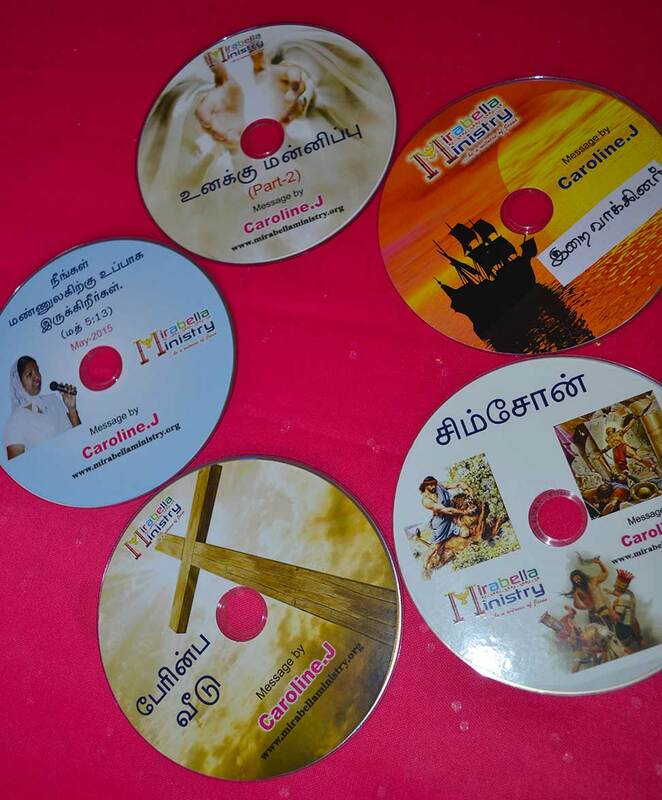 A Near Death Experience of a Software Engineer gives a vivid description about the travel of Sr. Caroline’s soul and the encounter with Our Lord. What was the mission given to her? How was it carried out? 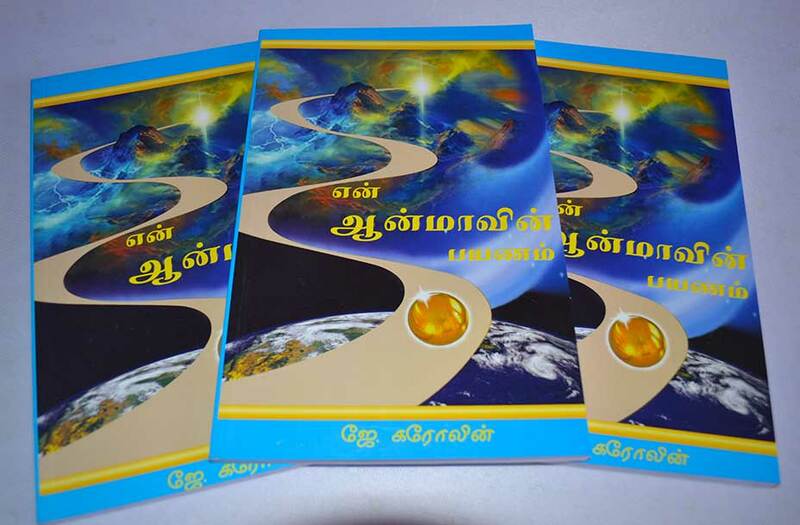 Its an eye opener for those who are in search of God, and the purpose of life. 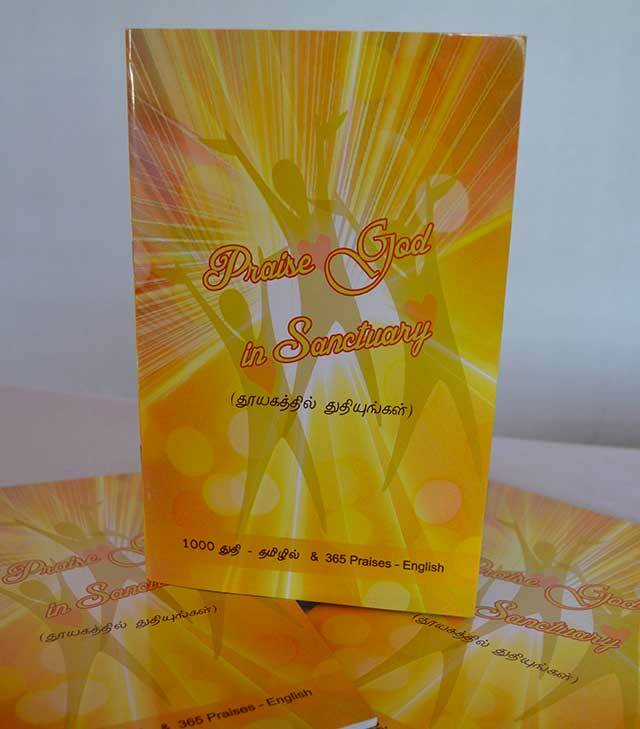 How good it is to live, a loving and peaceful life under the protection of God… This book shares about the transformation of the lives of the Volunteers who serve in the Ministry.While reading you will feel the Holy Spirit works in the families.. Most of today’s youth have strayed away from our faith. Find the stories behind these few, precious youth who have pledged their lives to God. 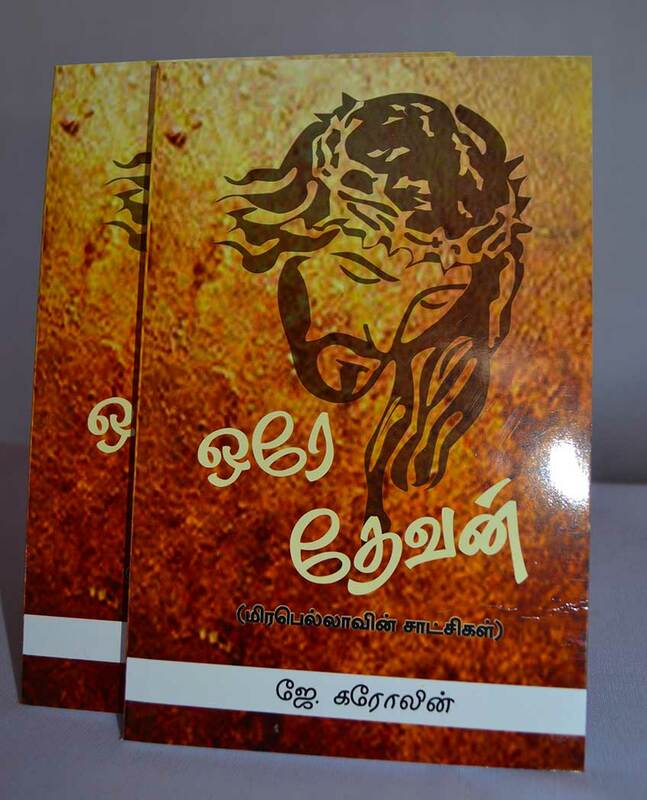 A Great book which will definitely change a Youth reader’s perception of life. How mighty and powerful is the God our Lord. Reciting the praises in this book gives us a great strength of what a great God we have! 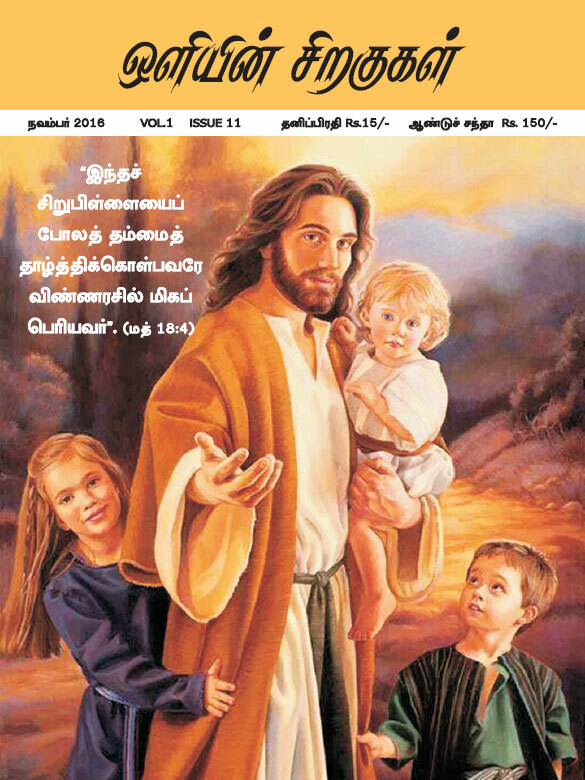 Taste the sweetness of these praises daily. You may have heard of Mirabella Ministry and its work, but do you know what started it all? 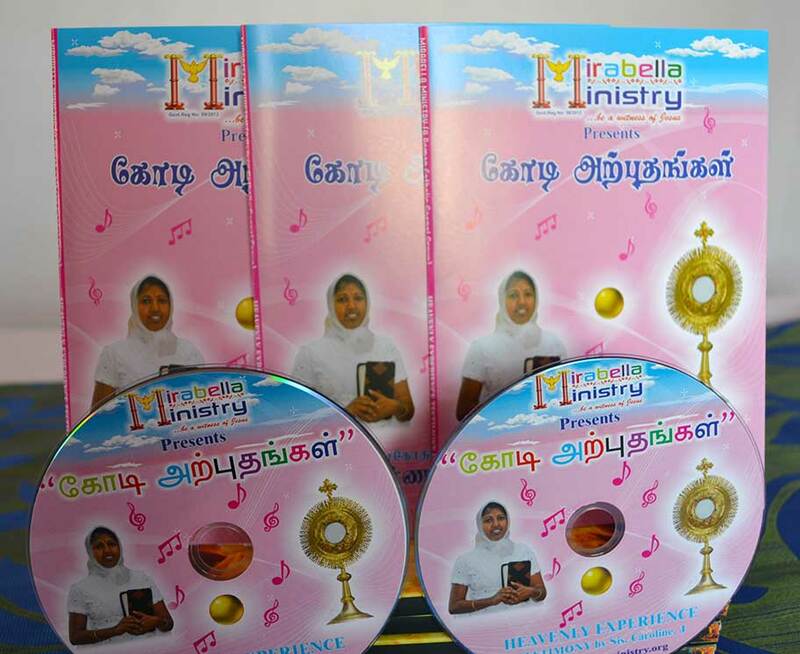 Find out in this heavenly visitation CD, “Million Miracles”! The Lord who transformed Sr. Caroline’s life will definitely transforms you. Yes.. while you watch the DVD, you will see the amazing hand of the lord on you too.. 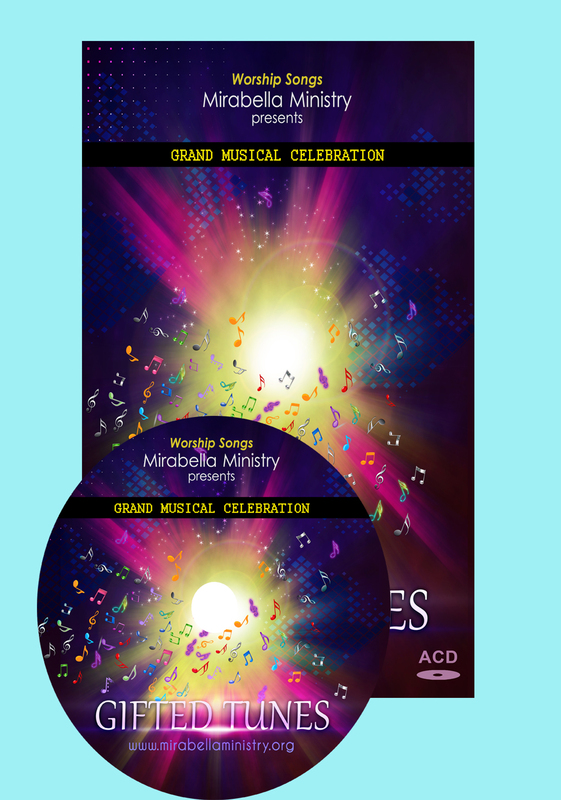 Thanks Giving Day of Mirabellities all around the world..with lots of Colorful thank note with Songs , Dance and Prayer …. Many of us know the bible and its teachings. How often do we put these words of God into our lives? However faith is by work! 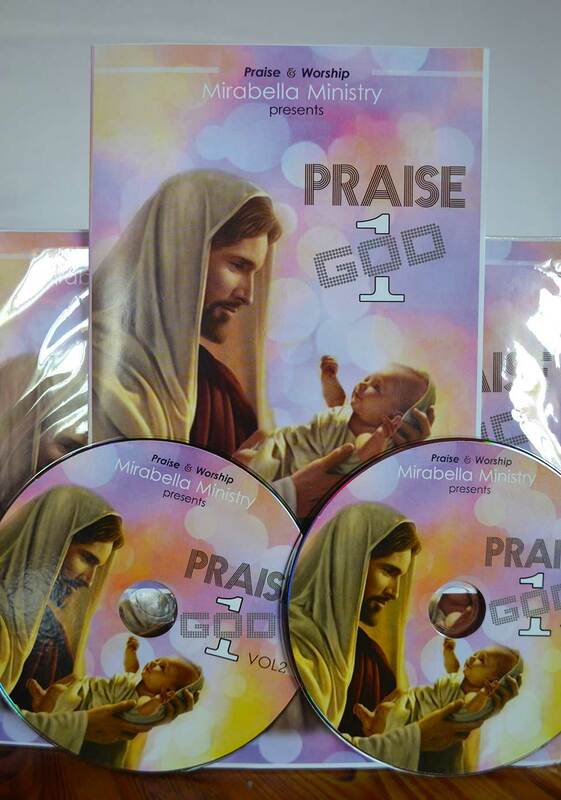 These message DVD’s are interestingly received throughout the world. Each and every one of God’s teachings strikes our hearts and renews our life to what God desires.